Leland Green is answering an inquiry about a former student at Possum Trot. He states that she was a decent student, but was difficult to control. 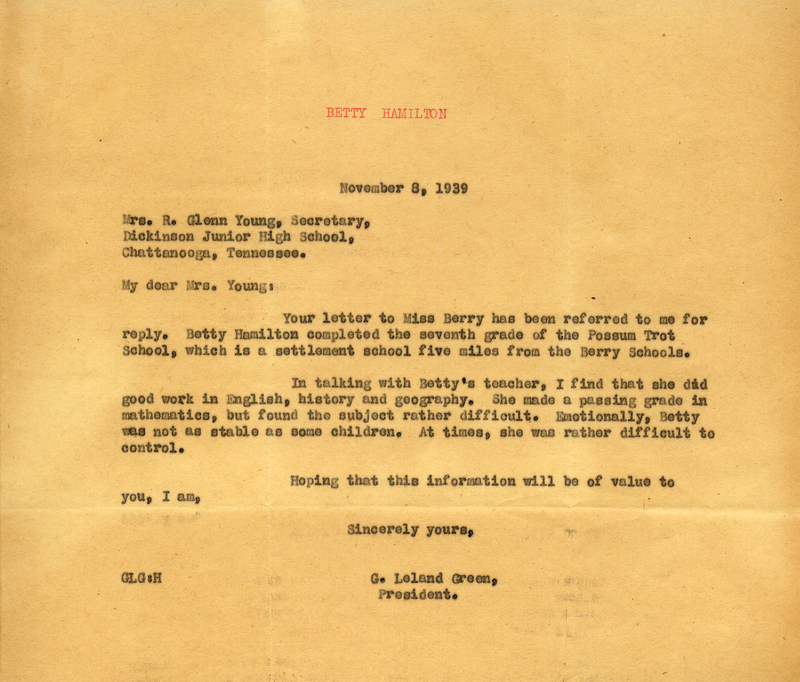 Dr. G. Leland Green, “A Letter to Mrs. R. Glenn Young from Leland Green.” Martha Berry Digital Archive. Eds. Schlitz, Stephanie A., Jordan Brannen, Justin Karch, Jessica Hornbuckle, et al. Mount Berry: Berry College, 2016. accessed April 21, 2019, https://mbda.berry.edu/items/show/15068.